Before the Washington, D.C., planning commissioner ruled last week that local Christian Scientists can tear down their church near the White House, it looked as if form was going to win over function. Then the planning commissioner overturned the unanimous vote of the City Historic Preservation Review Board to designate the church a historic site. For me, the most exciting part about the battle was that I was introduced to an architectural genus that I wasn’t aware of, even though it’s been staring me in the face most of my life. 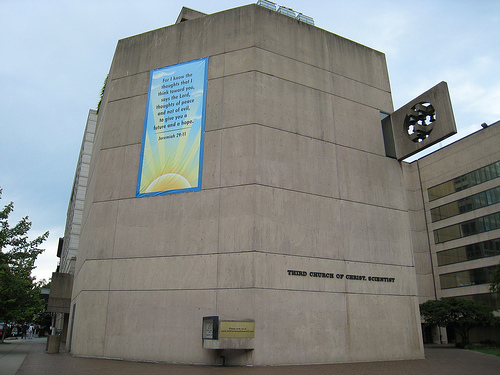 And for someone who didn’t know what Brutalism was, one look at the Third Church of Christ Scientist, Washington, D.C., said just about everything I needed to know. It screams, "Preserve Me!!" doesn't it? Brutalism. 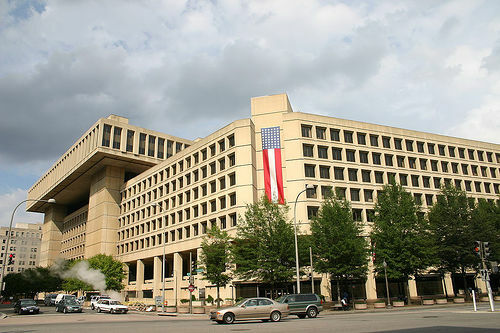 Like a concrete bunker, but with less charm. A “stark architectural style” that “became synonymous with ’70s ugliness,” according to the Guardian. Brutalism was a love affair with concrete. It was a response to glass curtain architecture of the 1950s and ’60s. Interestingly, though, its name has nothing to do with “brutality” or “brutal.” “The term was derived from Le Corbusier’s Béton brut — French for ‘raw concrete,'” the Guardian writes. Still what could brutalist architects have been thinking? Did they look at the Berlin Wall and decide that was the look they were after? I guess sometimes you just have to throw up a concrete slab and see how it turns out. “Although many of the structures looked fresh and modern at first, it soon became apparent that the raw, bare concrete structures lacked personality and promoted alienation,” according to Weburbanist. I guess that can be read a couple of ways. I think you’ll agree they’re OK. You just don’t want to pray in them. The articles I read said Brutalism ran its course in the 1970s. Perhaps that’s something to be thankful for. But what explains all the ugly buildings that went up since then?